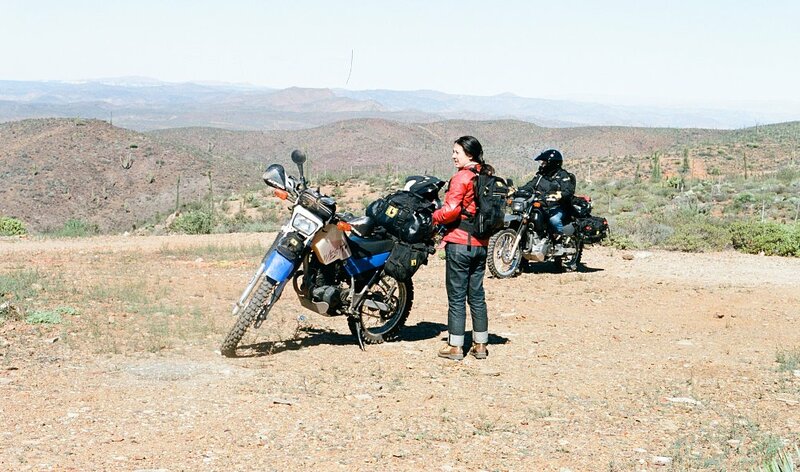 My first experience with motorbikes came from an ex-boyfriend who rode a low, black Ducati. Some nights, after screaming over the Walt Whitman Bridge, we’d park the little bike in front of our favorite pizzeria and sit on the outside patio, enjoying dinner. It was common for some passing stranger to stop and stare before walking up to our table to inquire about the motorcycle with come-hither looks and voice to match. Is that a three-fifty? A desmo? No kidding. Is it hard to tune? Etc., etc. As my partner answered the questions, I’d quietly liquefy into my seat. Such is the fate of a woman without a bike in the company of a man who has one. But nothing remains the same for long. I’ve been a passenger on almost every type of seat there is. I’ve perched on the narrow roost of a sport bike, felt like royalty atop the king-and-queen seat of a smoky old Shovelhead and nested in the La-Z-Boy-esque pillowing of a 1987 Harley-Davidson Evo. No longer just a passenger. Photo by Stephanie Weaver. It wasn’t until I was 30 that I decided to get into the driver’s seat of a real motorcycle. I have no idea what took me so long to make the decision. I’ve ridden horses all of my life, played roller derby, and even owned a P150 Vespa for years. But you can’t go that fast on hooves, skates or a scooter. I adored sitting cupcake when somebody else was in control of the bike, soaring down the highway at 60 mph. But there was an overwhelming fear of placing the handlebars in my own hands going such speeds. Then something happened to me when I left my 20s. I felt like I was on the cusp of being an adult, but wasn’t quite there yet. My friends were all getting married and having kids, and I was still dedicating hours to my career. I hadn’t left the decade of debauchery and self-contemplation unscathed, but I felt like I hadn’t really accomplished anything, either. Bringing home my first real motorcycle. Photo by Stephanie Weaver. A good girlfriend of mine from my roller derby days got her motorcycle license around the same time I was suffering from this quarter-life crisis. I had always had a bike permit, because I rode scooters, but it never dawned on me that I could learn how to operate a real, live motorcycle. It was like a light bulb went off in my head, but the light bulb was an elaborate neon marquee-style sign blinking “Why didn’t you think of this before?” It was the feeling so many other women get when they see another female ride by on a bike: Of course! It is possible because I have seen it! I learned how to ride under a hot July sun in the parking lot with 20 other awkward newbies. My field instructor must have been a former drill sergeant, given his brash approach to teaching. His neck would bulge, then his face would go a deep crimson before he finally barked instructions into his loudspeaker. His was an extremely efficient pedagogical method, as I have never ever again forgotten to pull in the clutch and use both brakes when coming to a stop. 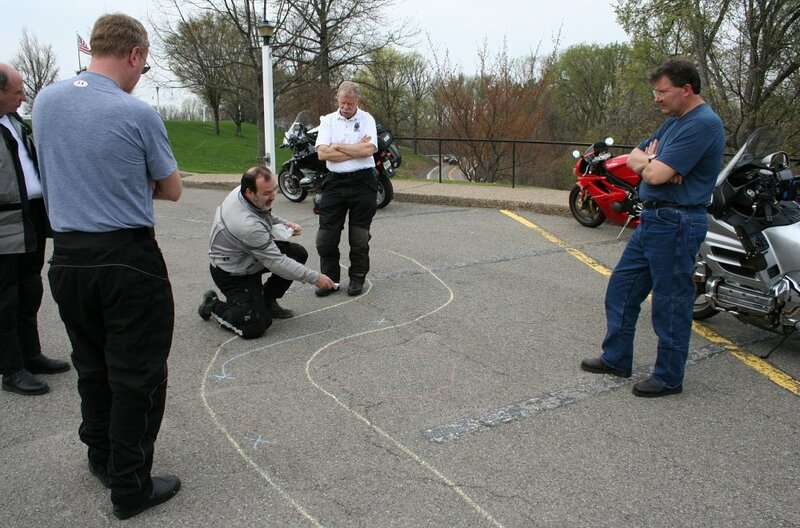 For any woman looking to get into riding, I highly recommend taking the MSF courses. From first feeling the weight of several hundred pounds between your thighs to getting giddy when you finally find the happy point where the clutch goes out and the gear comes in, the classes are very thorough. Sweat drenched my body from wearing leathers and a helmet for five hours in 80-degree weather, but I came home that weekend happier than any lottery winner in the world. Riding is dynamic, but it is dangerous. It is something to constantly work at and to surrender to. As a woman, we are expected to be fragile, docile things. I don’t ride to earn the respect of men or to impress my fellow female peers. There is something inherently wild about the freedom of being on a motorcycle. Sure, I can slip on a little black dress and a pair of stilettos, but wherever I go, I still long for that liberty. No matter where I am, the shadow that follows me is definitely two-wheeled.